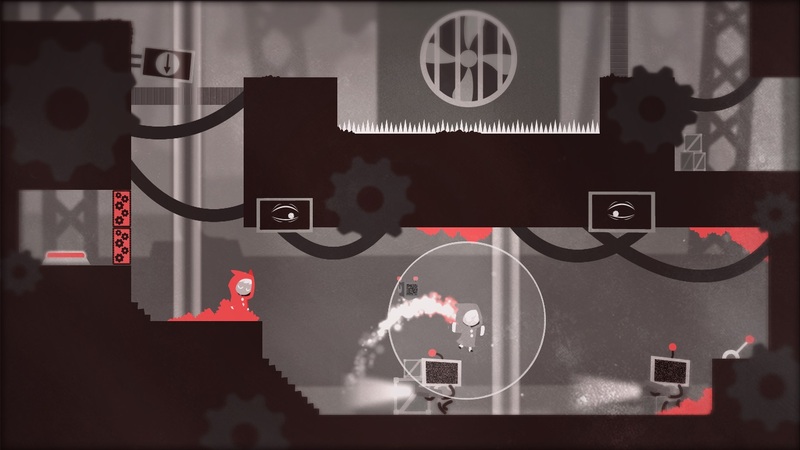 BOOR is a puzzle platformer from one-man developer Dazlog Studio. The setting of BOOR finds you in some civilization called Eden, where things aren’t looking too good. In order to make society more efficient, an advanced AI was created. Things went wrong when the AI started killing everyone. You play as a rather interesting person with the ability to create a duplicate of themselves, and so you explore the world of Eden helping folks out, discovering what went wrong, and also solving lots of puzzles and doing platforming things. The story is relatively straightforward. The AI has killed a whole bunch of people, so you should probably stop it. You meet some characters on the way, some of them help you out, and some are a bit less helpful than others. The core mechanic and selling point of BOOR is that you have the ability to create a duplicate of yourself and control it. Aside that, the only other ability you have is to jump. The duplicate allows you to access areas you can’t due to blocks you can’t pass through, but which your duplicate can. This ability is on a timer as well. When you create a duplicate, a circle appears around it that gets smaller and smaller. When the circle vanishes, so too does the duplicate. There are, of course, obstacles that block your path. Among them are lasers, security robots, doors, and more traditional platformer fare like spike pits and rotating saw blades. 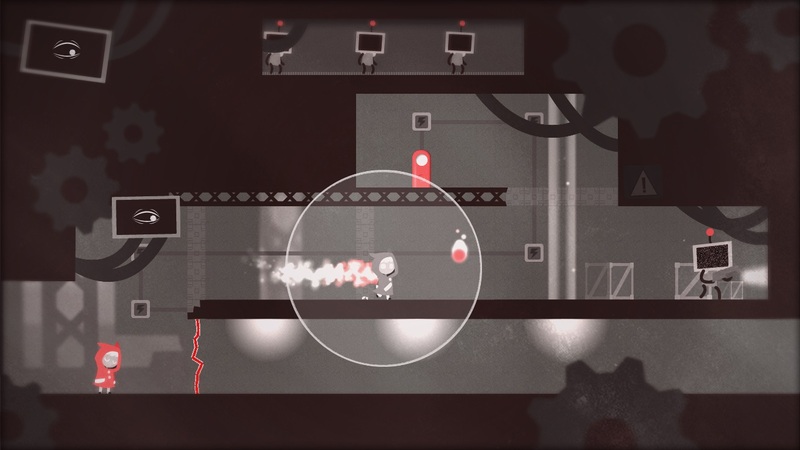 The puzzles involve navigating through these obstacles and sometimes using them to your advantage. Some security robots shoot laser beams, so you might have your duplicate pop in front of one to get them to fire at some blocks that are in your way. There are also some robots that will chase you down, and you can use your duplicate to lead them away from you, or coax them into a pit with a switch inside. BOOR does a very good job of slowly introducing new mechanics and layering them on top of each other. Something new is introduced in a safe environment, and then the stakes are upped a little bit. The puzzles are all very good, figuring them out is satisfying, and the game constantly thinks of new ways to apply its simple mechanics. Not only that, but it also has some good old fashioned platforming mixed in, which is refreshing. Many puzzle platformers seem to be really heavy on the puzzle and light on the platforming, but BOOR offers a healthy amount of both. There are also boss fights here, and they’re not too shabby. Due to your limited abilities, you can’t attack them directly. I do feel some boss phases drag on a little bit, however. This can end up being frustrating as you die in a single hit. Also, there’s a strategy of using a duplicate to draw fire that’s used in every boss. It ends up being a bit predictable. A cool thing that can be discovered in BOOR is an arcade with some mini-games to play. One is a shmup, one is an endless runner, and another is like a very old school racing game. They’re really simple and not terribly interesting, but it was a neat little distraction. To my knowledge, there’s nothing to gain from playing these games aside from achievements for getting 1000 points in one of them. To top things off, there are some secret areas and collectibles as well. The visuals of this game are pretty simplistic. The color pallet consists of white, gray, black, and some nice reds. The contrast looks nice, and the red is mostly used to highlight certain things in the levels, so that’s good. A neat little touch are the human skulls scattered about, which sells the setting that this AI really made a mess of things. The security robots patrolling the place look almost cartoonish, and bosses have these gigantic eyeballs. They look pretty cute and innocent for things that are adept at killing people. The soundtrack is good, with relaxing tunes during puzzle solving, and upbeat music during boss fights. Unfortunately the music during the final boss wasn’t quite so upbeat, which left me a bit disappointed. In conclusion, this is a very well put together game. Aside from the bosses being a bit longer and a bit easier than I’d like, this game does what it does very well. There are clever and satisfying puzzles alongside some good and not overly demanding platforming. The game has a good difficulty level. The puzzles require some thinking, but I doubt you’ll ever be starting at a room wondering what to do. BOOR took me just a couple hours to beat, and costs $5. It also has a speed run mode that eliminates the cutscenes. While it does have fun platforming, there’s not much reason to go through it again unless you want all the collectibles and achievements. 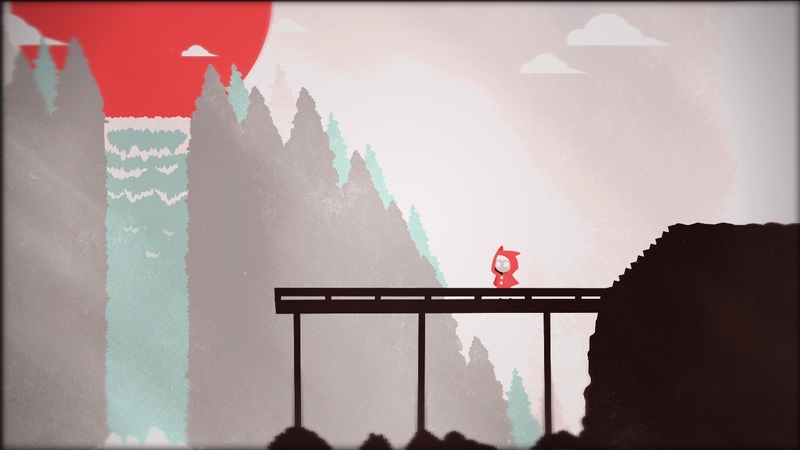 If you like puzzle platformers, I can easily recommend this. Been playing video games since before I could form coherent sentences. I love a wide variety of games, from fast, technical action games to slow RPGs. Aside from video games, I have a love of music, film, and anime.